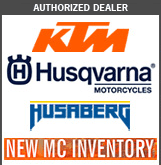 This easily-adjustable Enduro Engineering Bar Riser Kit can be used to tailor the bar height of your KTM, Husqvarna, Husaberg, Sherco and Beta to suit your personal preference. 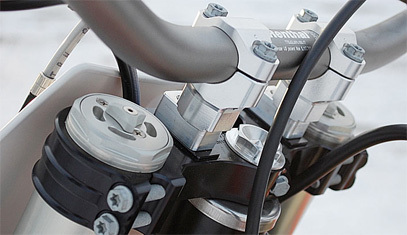 These bar risers can be used on any late model factory KTM triple clamp. 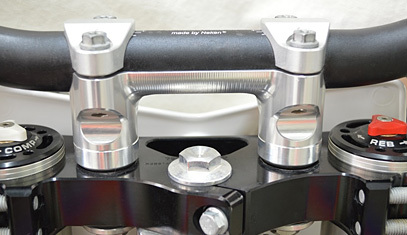 The interchangeable 5mm, 10mm, and 15mm risers can be mixed and matched to provide a 5mm, 10mm, 15mm, 20mm, 25mm, or 30mm lift to your handlebars and still allow you to use any of the 4 available handlebar positions. Simply raises your handlebar from 5-20mm. 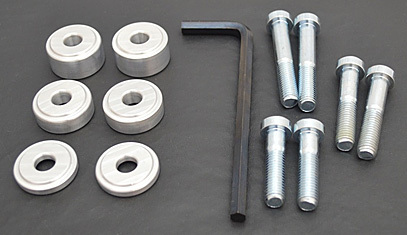 Interlocking 6061 aluminum CNC machined pieces. All hardware included. 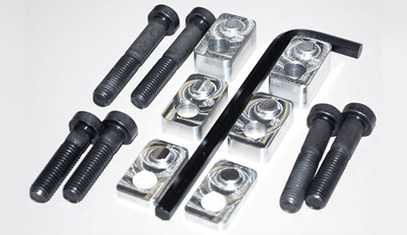 Includes: 5mm, 10mm, and 15mm spacers and 3 pairs of mounting bolts of varied lengths. Simply raises your handlebar from 5-30mm. Interlocking 6061 aluminum CNC machined pieces. All hardware included.